Editor’s Note: Inspired by Matthew 25:40-45, which concludes “ … What you did not do for one of these least ones, you did not do for me,” each month in 2017 the Review will provide an in-depth look at the Catholic Church’s response to those in dire need. Every saint has a past, and every sinner a future. In addition to the Bible, Father Collin Poston quotes Oscar Wilde in explaining the nature of prison ministry. 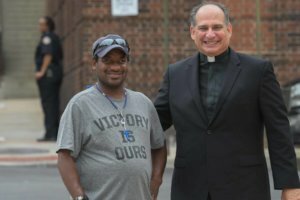 Father Poston is the pastor of two parishes in northern Frederick County, but he supports a program for ex-offenders begun by one in Hagerstown and a budding ministry for former prisoners begun by a fellow priest of the Archdiocese of Baltimore. 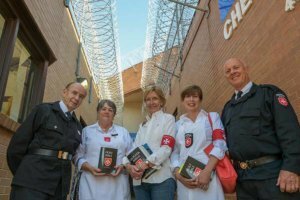 In the nearly 228-year history of The Premier See, it is unlikely that anyone has given more to prison ministry than Father Charles Canterna, in the field full time since 1982. Known as “Father Chuck,” he was inspired to consider the priesthood by the principal of his Catholic school in Freeport, Pa., who saw him constantly entering St. Mary Church. He is a chaplain at the Maryland Penitentiary Complex, an alphabet soup of six facilities visible to commuters departing downtown Baltimore on the Jones Falls Expressway. His ministry has included those on death row. Maryland abolished the death penalty in 2013. Wesley Baker, a convicted murderer, was the last person executed in the state, in December 2005. Father Canterna spent much of Baker’s final two months with him, in what turned out to be a rolling confessional. Father Canterna’s day typically begins with 7 a.m. Mass for inmates. He shares the sacraments with Catholics, and noted that prison ministers “are not allowed to proselytize.” He listens to all and has fasted at Ramadan, in unity with those practicing Islam. The United States has the highest per capita rate of incarceration of any nation on the planet. Maryland’s prison population (those sentenced to 18 months or more) numbers nearly 21,000, at an annual estimated cost of almost $800 million. The last two years have ended with the highest murder rates in the history of Baltimore, and 2017 is unfolding at a murder-a-day pace. With repeat offenders contributing to that bloodshed, wouldn’t the region be safer if they were locked up for good? 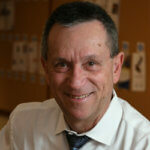 Deacon Martin Wolf has done his part to reduce recidivism. Ordained to the permanent diaconate in 2005, he was among the clergy serving prisons in the city until recently, when he began work in youth ministry at St. Margaret Parish in Bel Air. William Gaertner and Steven Allbright were among the men Deacon Wolf encountered at the Metropolitan Transition Center. Both of their lives had unraveled in addiction and convictions for domestic violence. Father Poston also aided the recovery of both men. Gaertner came to Baltimore 50 years ago, as a seminarian at St. Mary’s in Roland Park. Upon his release from prison in 2013, he relocated to Hagerstown. He attended daily Mass at St. Mary Church, where Father Poston was the pastor. With his support, in 2014 Gaertner founded Gatekeepers, which helps ex-offenders find education, employment, transportation and alcohol- and drug-free housing. Released in spring 2014, Allbright went to culinary school, found stable restaurant work and was the first hire of The Table Foundation. The newest ministry begun by Father Leo Patalinghug’s “faith, family and food” movement, it aims to offer employment and transitional housing to ex-offenders. Father Poston serves on its board, as chaplain. 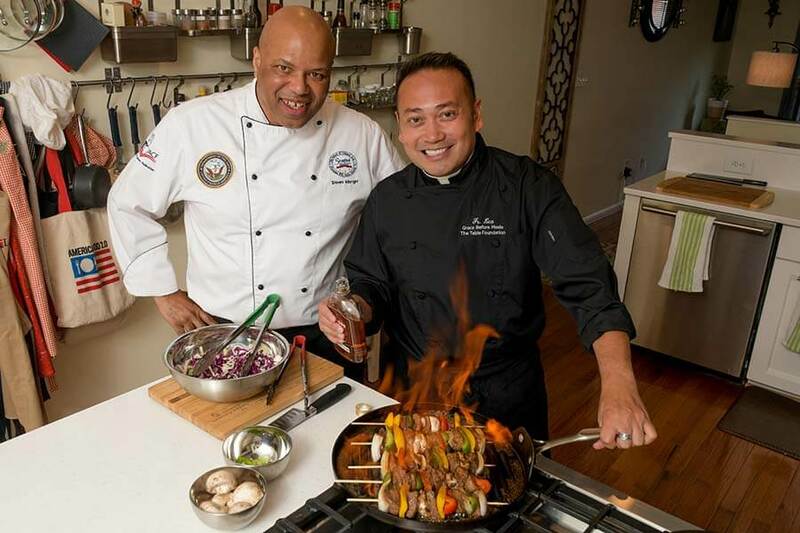 Through Gaertner, they connected Allbright to Father Patalinghug, who hired him as culinary director/administrator. Joseph F. Clocker, a parishioner of St. Francis Xavier in Hunt Valley, directs the Division of Parole and Probation for the Maryland Department of Public Safety and Correctional Services. 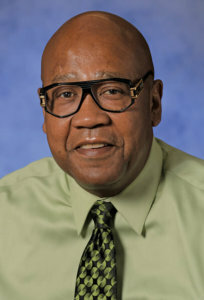 Ray Kelly is the co-director of the No Boundaries Coalition, housed on the campus of St. Peter Claver Parish, where he is vice chairman of the executive committee. A decade ago, when he was imprisoned for his knowledge of a murder conspiracy, he remained connected to Josephite Father Joseph Del Vecchio, an associate pastor at the church. Deacon Seigfried Presberry, a convert to the faith and a former correctional officer, is director of prison ministry for the archdiocese. The effort includes not only religious, such as Sister of St. Joseph Kathy Clafin serving the women’s wing of the Baltimore City Detention Center, but also considerable lay involvement. Volunteers include members of the Order of Malta, such as Dr. Patrick Walsh. A distinguished professor of urology for Johns Hopkins, for 40 years he passed prisons on the way to his home in Baltimore County, where he is a parishioner of St. Francis Xavier. Walsh helps lead a Communion service every Tuesday night at the Maryland Reception and Diagnostic Classification Center. There are readings, a homily and discussion.